NOV 19 - FOSS SPEAKER EVENT - "URBAN WIILDLIDE AND HUMAN RELATIONSHIPS"
Dave Taylor from the Riverwood Conservancy in Mississauga will talk about his organization’s efforts to save and enhance wildlife habitat in an urban setting and their goal to stimulate public awareness by providing educational programs and stewardship activities to the community. Check out this organization's website for the latest on the City's off-leash policy for parks and this group's goal of having a dog walking area in the RL Clark Filtration Plant. A message for all you wildlife photographers out in the park .......The Canadian Wildlife Federation is holding a photo contest. 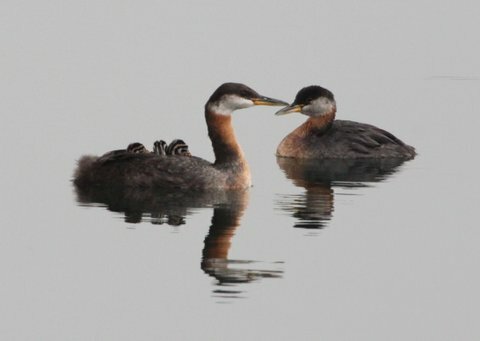 To enter, you need to join the CWF Photo Club, but membership is free. There is also a kids' photo contest. 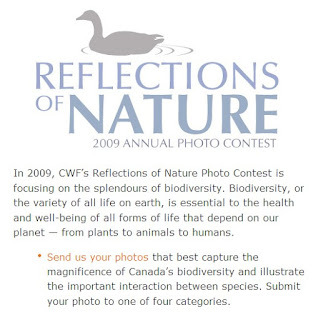 Check out the Canadian Wildlife Federation website for more info on this contest.. It is very sad to see approximately 80% of the meadow chopped up , t he same meadow that was fought so hard for a few years ago, that offered the promise through natural succession of maturing butterfly habitat and the progressive growth of more complex wildflower, shrub, tree and native grass colonies. Let us hold the City to its promise that, after construction, a significant buffer between the cement of the skating trail and the adjacent, environmentally sensitive woodland, wetland and creek is established with appropriate space, plantings and berms. I wonder how the soon-to-hibernate groundhog colony in the meadow is coping with all of this! DUSK AND DAWN JOGGING/CYCLING ALERT! "I found the protective fencing surrounding the building of the skating trail on the walking and cycling path. Just to let you know this is “an accident waiting to happen”!!! In the dark you cannot see the fence and as a cyclist I see someone doing a face plant or worse. Check it out yourself at 6 AM and you will see the fence just blends with the morning darkness." Many thanks to the 20 or so dedicated friends of Sam Smith, who braved the cold, rainy weather last weekend to participate in the City of Toronto's "Live Green Toronto" fall planting. Along with a number of oak trees, many shrubs producing berries, were planted at the eastern end of the park. In the years to come, these plants will help to attract even more songbirds to Sam Smith Park. The eastern path into Sam Smith Park, off Thirteenth St., has been repaired after a summer of heavy cloudbursts caused heavy erosion to the natural paths. Many thanks to the Toronto Parks staff for their timely response to our request. The many cyclists, mothers with strollers and disabled users of the park can now enjoy their smooth, natural path back into Sam Smith Park once again.